BRUCE Prance took long service leave from his job with the Lands and Surveys Department to train two Australian divers ahead of the 1964 Tokyo Olympics. Prance, now 83, took four-and-a-half hours a day off work as a cartographer to train West Australian Robyn Bradshaw and Sue Knight from Sydney. “I’d go back to work after I’d finished training,” the Wembley Downs resident said. “We had the trials in Melbourne and they selected Robyn and Sue. “Robyn was my diver and it was decided that they’d both train in Perth and I’d coach them both. Prance told several cheeky stories about his Olympic and Commonwealth Games coaching experiences, which spans from the 1962 Commonwealth Games held in Perth to the Seoul Olympics in 1988, when the Community Newspaper Group sat down with him . The former competitive diver is a finalist in the Service to Sport category of the WA Sports Star awards that will be announced on Monday, December 12. 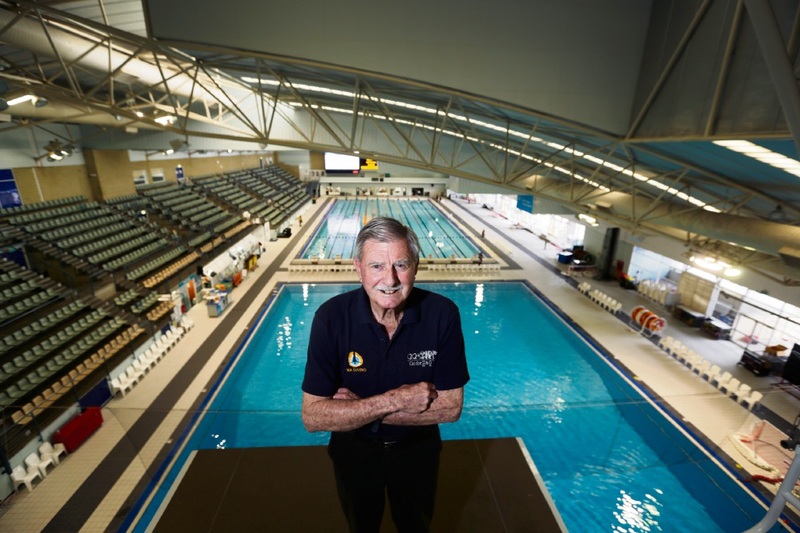 Prance was an adviser to the City of Perth when they built Perth’s first diving pool at Beatty Park Leisure Centre ahead of the 1962 Commonwealth Games. He said the engineer did not have a lot of experience in building a dive pool and initially had the pool at nearly 7m deep. Prance said he convinced them that 5m was enough. The nomination comes just weeks after Prance was recognised as the most influential member at the Diving WA Annual Awards. Prance, who still coaches Eliza Cole who won Most Outstanding Master Diver and Official of the Year at the Diving WA awards, said he was very surprised by the accolade that brought him to tears. He said he hoped to be more composed if he received the Service to Sport Award.